Yesterday I published a review of Maria Ross’s sweet new book Branding Basics for Small Business- How to Create an Irresistible Brand on Any Budget . 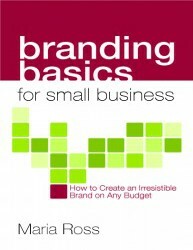 If you missed the review you can find it here- Branding Basics for Small Business- Review. In the mean time, Maria and her publishers have graciously allowed me to post an excerpt from the book here on BGB for your reading pleasure. In this excerpt she cracks wide open the top 5 branding myths most folks like to perpetuate around the web, (Hmnn.. mayhap even YOU??) 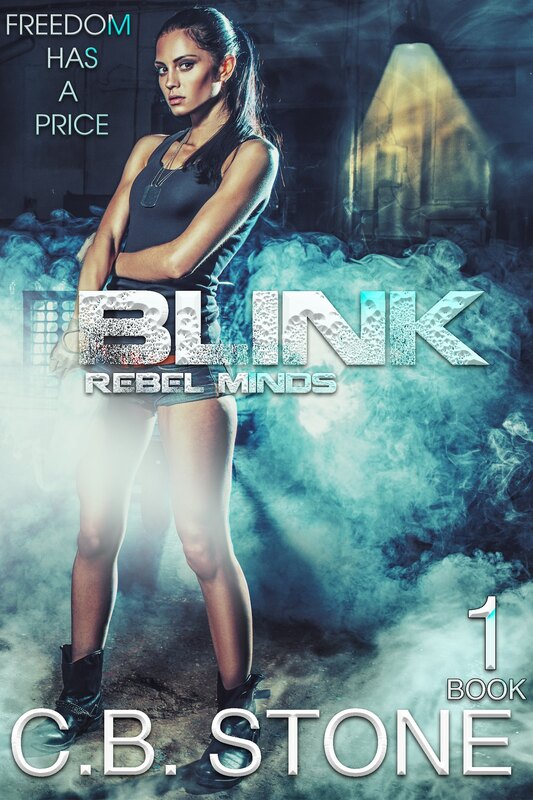 and gives you an insiders look into exactly what her book is all about. While dazzling branding is more than just pretty pictures, it also is something that is easily attainable, if businesspeople put the right thought and effort into it. Dispelling five popular myths about branding is key to starting that process and transforming your business. Branding is not rocket science. It simply requires focused thought about what you want your business to stand for and to whom, and then a commitment to communicate that message through everything you do visually and experientially. With my clients, I offer a simple ten step process to building a firm brand strategy. But once built, you are never “done” nor do you ever stop being a steward for your brand once all the processes, websites and logos are in place. You need to constantly be vigilant and regularly do a “system check” on your materials, business practices, customer service and messaging to ensure your brand is clear and consistent. You also just need to commit to living your values and ensuring all of your employees and partners can verbalize and live those values as well. Effective branding can be done on any budget. I’ve worked with $12 million dollar budgets and $1000 budgets. The real key to effective branding is making sure you have your ideal audience detailed out and that your business messages speak directly to their needs and the benefits they value. Once you have those thoughts together, you can then work more effectively with a designer to put together your logo or website experience and a writer to craft your brochure and website messaging. Consistency and clarity in messaging (visual and verbal) is what makes a brand effective and creates rabid fans and evangelists, not how much money you spend promoting it. So if you can only spend $200 on a logo, you can still ensure it communicates exactly what you want to whom you want. True, you may not be able to do multi-million ad campaigns or sponsor extravagant sporting events. But with clear, consistent and strong messages, you ensure that even those 3 or 4 activities you can afford to do are laser-focused. In addition, since brand is more than just your logo or advertising, you can live your brand through aligned corporate policies and processes. You can easily and cheaply craft a voicemail message or email signature that furthers that brand. Brand equity can make or break a company. And if you think branding has no financial impact, just ask private equity firms who “buy” brands for billions of dollars, all for the brand cache or loyal customer base. It’s the reason people will pay 3 times as much for a white t-shirt at Nordstrom than they would at Target. Brand translates into bottom-line sales when done effectively. You can’t deny that if you build a strong foundation and communicate it to the right people at the right time, you will attract just the interested customer you seek. In addition, a strong brand guides all the other marketing decisions that fuel your company’s growth: where to advertise, who to partner with, how to price your product, etc. All designers and branding firms are not the same. While you can save lots of money thinking through a brand strategy on your own before you engage with a designer on communicating anything visually, some designers get it and some don’t. And sometimes, you do get what you pay for in this regard. If you are talking to a designer who does not ask who your target audience is or what you are trying to convey to them through your visual elements – merely asking you what colors or concepts you “like” – you need to run the other way. While you might be only spending $100 on them and think it’s a steal, you will lose more in sales and customers by not communicating the right message visually. Good designers understand how imagery, font, color and spacing impact the subconscious connections people will make about your company and what it offers. And they should be experienced enough to make some clear recommendations in that regard. It’s worth it to spend a bit more on this if you can and work with someone good who asks about your brand and your ideal customer. Branding and direct response marketing are two different things. People need to experience your brand multiple times before it sticks. You will need to have it out there, present in all of your customer touchpoints, before being able to decide if it works or not. Branding is about awareness and “mindshare” – what spaces do you occupy in people’s minds when they see your logo or hear your name. This takes time to build. The Nike swoosh did not have meaning within the first 3 months it appeared. Avoid the temptation to change branding every few months in an effort to chase quarterly sales growth. Yes, if you get feedback that things are not working, you should make changes, but hopefully, you will have put the upfront thought and effort into the brand strategy and messaging before implementing it, so that maybe only slight tweaks are required. Branding and messaging can be refreshed over time – but not before customers get a chance to respond to it. And while you might be sick of your brand and messaging after 3 months, remember, your potential customers may not even have seen it yet, with all the noise that is in the marketplace. And there you have it BGB’ers. Told you this was good stuff! Look out for more from Maria next week, where she shares just why she’s got such a brand crush on Virgin America.